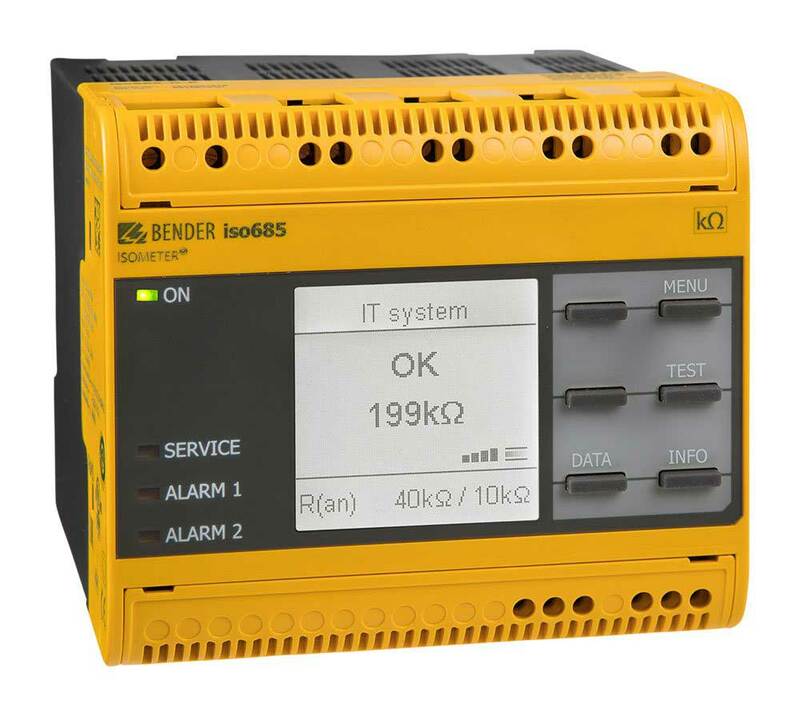 iso685-D: This device variant ISOMETER® iso685-D features a high-resolution graphic LC display and operating controls for direct operation of the device functions. It cannot be combined with an FP200. iso685-S: This device variant ISOMETER® iso685-S features neither a display nor operating controls. It can only be used in combination with the FP200 and it is operated via this front panel. Option "W": The ISOMETER®s with and without integrated display are available with option „W“ for extreme climatic and mechanical conditions (ISOMETER® iso685W-D and iso685W-S). Combination of AMPPlus and other profilespecific measurement methods. Current and voltage output 0(4)…20 mA, 0…400 μA, 0…10 V, 2…10 V (galvanically separated) which is analogous to the measured insulation value of the system. Worldwide remote diagnosis via Internet. Possible measuring instruments on request!